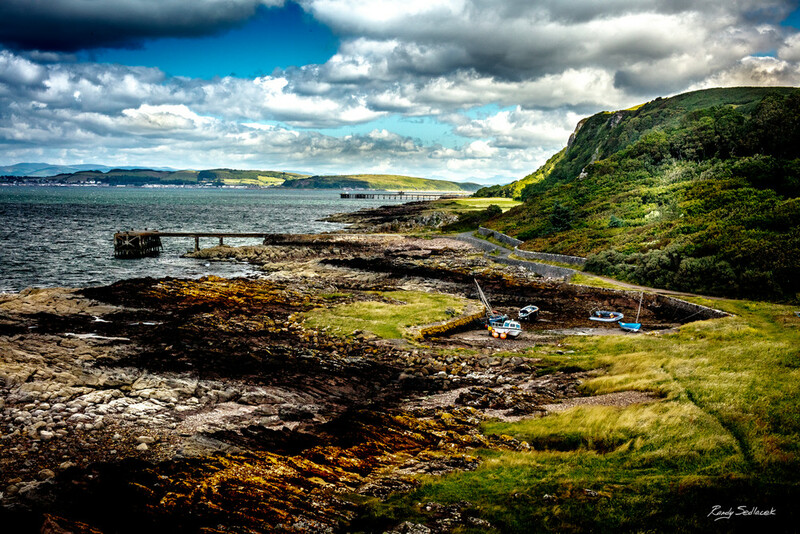 This is a photograph of the North Harbour west of West Kilbride in North Ayrshire, Scotland. It lies just 100 meters north of the Portencross Castle and was the main access point for fishing activity in the area. Some of the plants growing on the rocky shore include: whinstone dyke, saltmarsh and 'machair-like' seaside vegetation.